BELLEVUE, Neb. 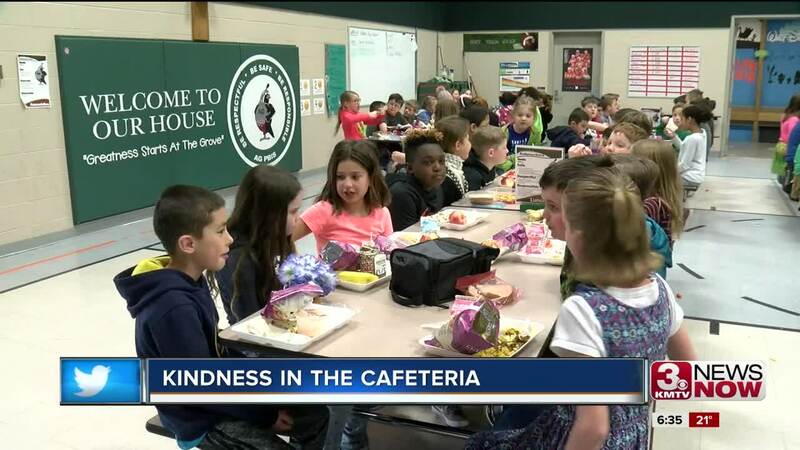 (KMTV) — Schools across the metro area are celebrating kindness week this week. Tying to promote a message of inclusivity and positivity, the districts are finding ways to bring the students together. At Anderson Grove Elementary in Bellevue, students sat next to kids they don't usually sit with at lunch and learned more about their classmates. School personnel believed it was a good way to reach out to students who may be shy to meet new people otherwise. "We tend to gravitate towards people we know well and once we have our friends we stick with the same friends over and over again so we have to make a conscience effort to step out of our comfort zone and get to know something new about someone we didn't know before," said Kristi Basel, a school counselor at Anderson Grove Elementary. Many students said they enjoyed the experience and said they didn't realize how much they had in common with other kids in their class.